Did you know there’s no standard image size for social media networks? By following this guide you’ll be able to share your images on Facebook, Twitter & LinkedIn the professional way. 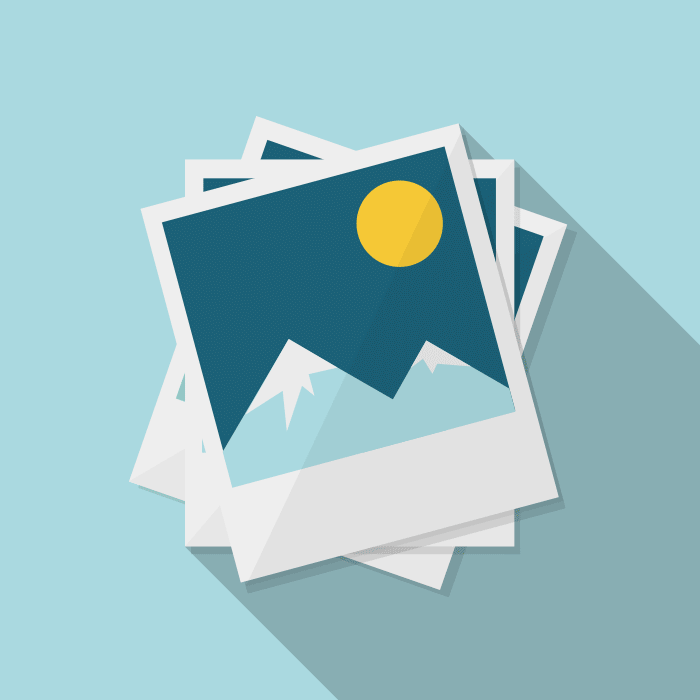 A few weeks ago we shared our Guide to creating images for your website. This month we go one step further and share our tips for using images in your social media accounts. Why do I need this guide? Have you ever tried sharing something on social media – either your own content or just something you like – but the picture is all weirdly cropped…? And it looks different on Facebook, Twitter and LinkedIn…? It’s sooo frustrating! Why is this happening? Because there is no standard image size for all social networks. They each use different image dimensions. What a pain! But don’t fear – by the time you finish reading this post you’ll know exactly how to make sure the images in the content you share on Facebook, Twitter and LinkedIn all look awesome! We’re going to show you the professional way to display images on your social networks. And there’s even a free tutorial video when you sign up to our blog, so don’t miss it! Want to know the professional way to display images on your social networks? The first thing you need to do is find suitable quality, suitably sized, relevant images for your blog, that don’t break any copyright laws. For a detailed guide to sourcing and crediting your images, check out the “Where do I find images?” section of our post A picture says a thousand words… but not if it takes too long to load! A guide to creating images for your website. It’s usually sufficient to feature just one image per blog post – if you want to use more you’ll need to follow the same steps for each image. Once you’ve found your image, the next crucial step is to resize it appropriately for each social network you want to share it on. This is the part where your business will really benefit – an update on Facebook, Twitter and LinkedIn will instantly look more professional if you use the right sized images. Each network has its own recommended image sizes, so it’s important to get these right. For now we’ll focus on the top 3 social networks for business, as these are the most common channels for blog sharing. So, how do you get your images to fit these sizes? The best free tool we’ve found for image manipulation is Pixlr Express. Go to Pixlr Express and select Browse to open your image. Select Adjustment from the bottom toolbar, and then Resize. Ensure ‘Keep proportions’ is selected, then change either the width or the height to the required dimension and hit Apply. Provided the second dimension is still larger than the required end result, you can now select Crop and enter the second dimension accordingly. A box of these dimensions will appear over your image which you can then adjust to select the desired area. Hit Apply and you’ll be shown your image resized to the correct dimensions. Hit Save in the top left corner to save your resized image. The original image dimensions will need to be larger than the dimensions you want to resize it to; you can only resize down, not up. You cannot simply change both the width and the height to the dimensions you need without keeping the proportions and therefore stretching or skewing the image. If, when you change the width of the image, the height changes to a smaller dimension than is required, you’ll need to play around a bit by entering a bigger width until you can accurately crop the image to the desired dimensions. Some images simply won’t work to the dimensions you want without cropping parts of them out. If this is no good, you may need to find a different image to work with. As you’ll need to share different versions of each image, we’d suggest using a naming convention for easy identification. This is what we use and you can copy us if you like…! Simply sign up to our blog at the bottom of this page and we’ll send you a tutorial video showing you how to resize your images using Pixlr. So, you’ve found your images and used Pixlr to get them to the right size. Now what? You’ll be pleased to know this is the easy part! First, it’s a good idea to crunch or compress your images to save space. Check out the “How can I reduce the file size?” section of our post A guide to creating images for your website. We advise using TinyPNG to do this as it’s super simple. You can also install the TinyPNG for WordPress plugin on your site and it’ll automatically compress every image you upload – how neat is that! In the editing mode of your post in WordPress, scroll down to the Yoast box beneath the main body of the post. Select the social icon on the left hand side. In the Facebook tab, click Upload Image next to the ‘Facebook Image’ field and add your correctly sized Facebook image (see screengrab below). Click Update (or Schedule) to save the changes of your post. Now, when you share your post on Facebook, it’ll pull through the correctly sized Facebook image. In the Twitter tab, click Upload Image next to the ‘Twitter Image’ field and add your correctly sized Twitter image. Now, when you share your post on Twitter, it’ll pull through the correctly sized Twitter image. LinkedIn works a bit differently to Facebook and Twitter, as there isn’t a LinkedIn sharing tab in the Yoast plugin. This is because sharing on LinkedIn works in a slightly different way. In LinkedIn you can have a company page and a personal profile. You can share updates to both a page and a profile, and you can also publish posts on a profile. Sharing an update on LinkedIn is an option you’d usually use for short, simple messages, particularly if you want to share a link with some brief accompanying text. The update is sent out to your network and can be seen by viewing the recent activity on your profile. Publishing a post on LinkedIn is useful for when you want to share a longer update, or even a whole blog post. It’s still sent out to your network and also sends a notification to your connections. You can give your post a title, upload an image and also embed videos into it. Your posts can be viewed in the Posts section of your profile (see screengrab below from our co-founder Guy’s LinkedIn profile). Go to your LinkedIn profile and scroll down to the Posts section. Select ‘Write a new post’. Click on the icon above the text ‘Add an image to bring your post to life’. Select your correctly sized LinkedIn image and click Open. The image will be inserted into the post. You can now add your headline and text into the body of the post. If you’re just writing an intro, don’t forget to include a link so your readers can read the full article. After clicking Publish your post will be displayed on your profile. We hope you’ve found this post useful. You should be well on your way to creating more professional-looking images to share across your social networks. We know the resizing of images can often be a bit of a stumbling block. If you need more help, sign up to our weekly blog below and we’ll send you a tutorial video showing you how to resize images in Pixlr. You’ll be able to watch our simple steps in real time and you can re-watch the video as many times as you like! Do you need help resizing your images to the correct dimensions for your website, email campaigns and social media networks? Simply sign up to our blog and we'll send you a free video tutorial as well as tons of other goodies - you'll be resizing images like a pro in no time!